Synopsis: Fifteen-year old Jamie Bates has a fail-safe strategy for surviving high school: fit in. Keep a low profile. And, above all, protect his biggest secret—he’s gay. So when a classmate discovers the truth, a terrified Jamie decides it’s time to change. After accepting flirtatious advances from Celia, the richest and most beautiful girl in school, Jamie steals an experimental new drug that’s supposed to “cure” his attraction to guys. At first, Jamie thinks he’s finally on track to living a “normal” life. But at what cost? As the drug’s side effects worsen and his relationship with Celia heats up, Jamie begins to realize that lying and using could shatter the fragile world of deception that he’s created—and hurt the people closest to him. 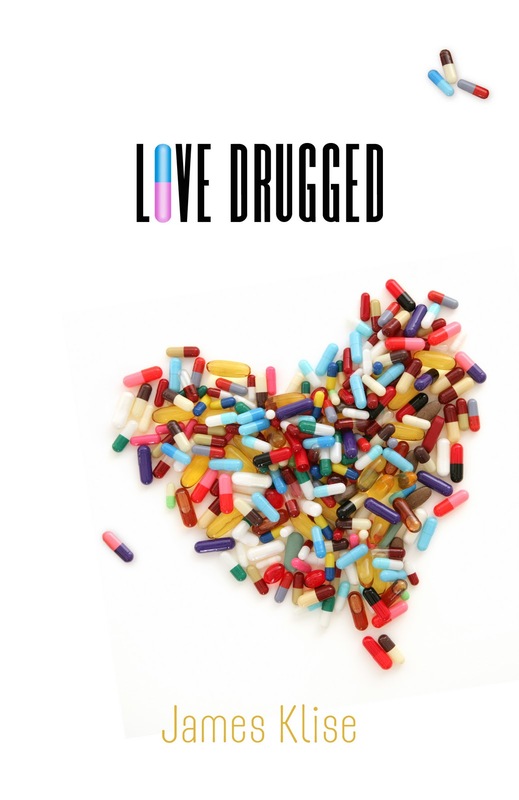 This was not an easy read – I am not sure if it is because I started reading Loved Drugged so soon after the recent suicides of homosexual teens or because it was hard watching someone go to the brink of death to change who he is, maybe both. Jamie’s home life is unconventional; he lives with his grandparents while his parents run a packing business upstairs. Jamie is gay, but he doesn’t plan on coming out anytime soon. How could he? Whenever we want to insult someone we say “that’s gay or fag” – coming out would just lead to a life of teasing and being pushed away. Stranded on the isle of homosexuality. When a classmate discovers Jamie’s secret he decides he can make himself straight. He starts seeing Celia, she is pretty, funny, and Jamie really is interested in her -just not “that way”. Over time he grows to love Celia and would do anything to make her happy. Celia’s dad develops medicine and Jamie learns that he is creating a pill that will cure homosexuality; it just needs to be FDA approved. Jaime can’t wait years, so he steals the drug. This part of the book is the hardest to read, seeing Jamie suffer through the side effects of the drug is heart breaking. On the brink of death, Jamie will make a split second decision that will bring all his lies crashing down around him. The only part of the book, I had a problem with was the ending. It seems forced. He does all this crazy, hard to believe stuff, then boom it’s over and now it’s time to face the consequences. I want to share this book. To enter the contest just fill out the form linked below. Wow this looks pretty nice!!! And heart-breaking too! I don;t think I have ever read anything like it! This book sounds so powerful. I'd love to read it. I can imagine how difficult this is to read given the current circumstances. Still, it sounds powerful and emotional. I'd love the chance to read it. This topic does seem like it would be hard to read about. Teens so often push way too hard to fit in, and it can be so hard and sad to watch. I really want to read this book, but I would also have to be in the right mood. I get very invested in good characters so I'd need to be prepared to watch a loved character hurt himself like this.